2 museums in one day? How would that work out? 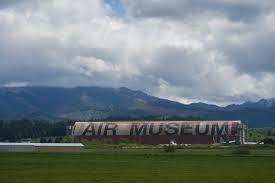 Well, to be fair, one was more a cheese factory than a museum, but I’m sure you can hear the boys’ eyes rolling when they knew they still had to see a plane museum BEFORE they could go back to the mansion and play foosball or dare the ocean to drown them. So we tried to make it as interesting as possible. Here’s the top 5 ways we tried to make it more interesting. We told them it was in a hangar for blimps. We may have said there’d be a blimp inside. I can’t remember. But it made sense, right. 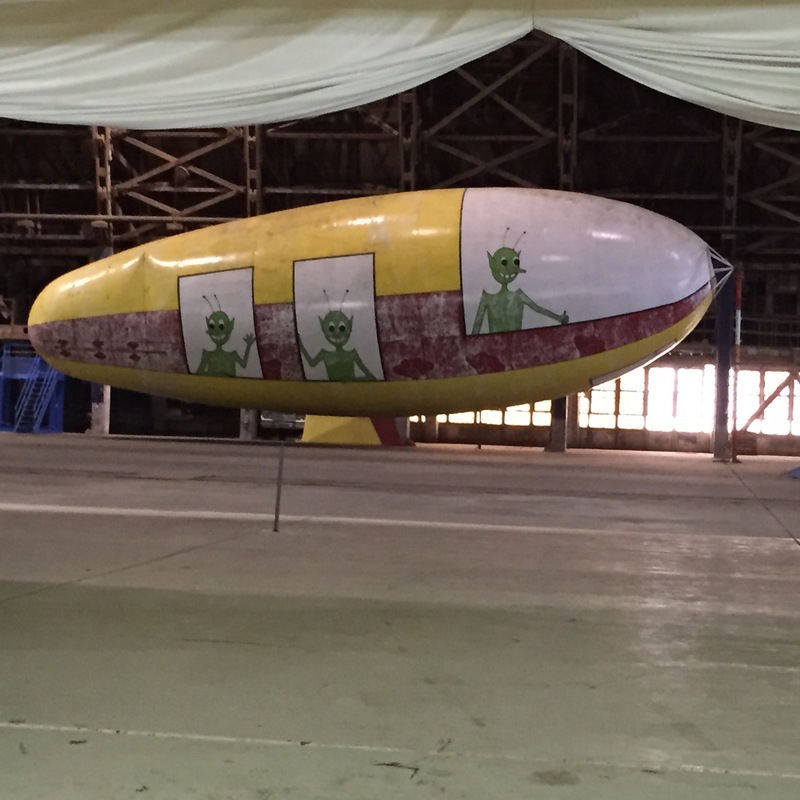 What kind of blimp hangar wouldn’t have a blimp? We offered ice cream at the end. (Though, to my continuing surprise, the boys HATE ice cream so what I mean is popsicles and cyclone treats.) It’s like me being able to survive 2 hours of the Phantom Menace by being told we’d all ritually kill George Lucas afterwards. It’s all about the rewards. In truth, it wasn’t so bad. Hey, we had Baba still with us and anytime we have Baba, we have more fun. She’s just like that. I hope I am that adventurous and fun when I’m 60, let alone 90ish. They did have a blimp but I think my car was bigger. The boys were entirely underwhelmed. They had a small collection of fighter/bombers and once The Youngest could see where the cannons were, he was more interested. The hangar itself was nothing short of amazing. In only a few months, they built this towering hangar out of wood. Despite the rain and mud, it was started in Oct 1942 and finished in Aug 1943. Today, it would be started in Oct after 20 years of environmental reviews, and would take 15 years to complete to governmental regulatory standards, then be mothballed due to changing technology. They did have a few hands-on exhibits. They tried out cockpits for a helicopter. A fighter. A trainer. 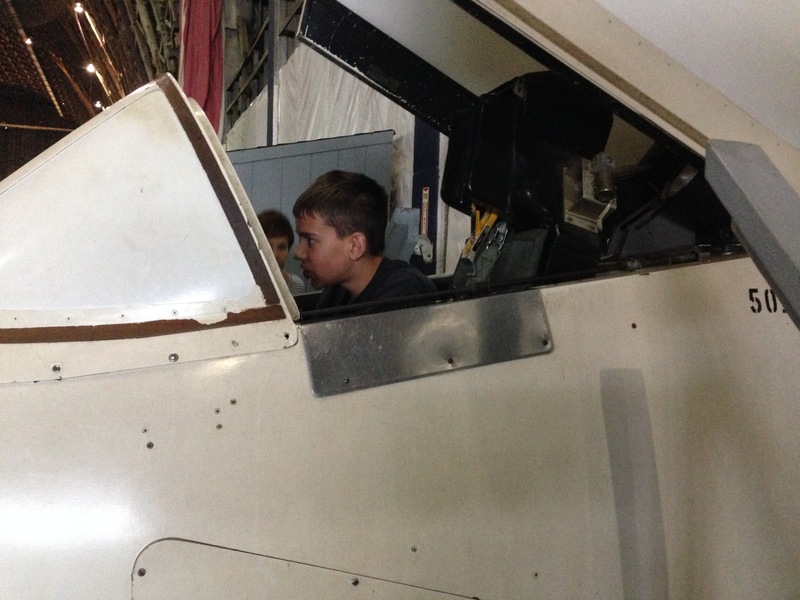 And a replica of one of A7 Corsair cockpit. I think they bombed all the kids who’d ever been mean to them. The Highlights, well, first up was something called a Mini-guppy. I kid you not. I loved seeing the WW2 aircraft, the legendary Corsair (anyone old enough to remember the TV show Baa Baa Blacksheep???) and I was surprised at how small the C26 C Invader was. So it wasn’t a complete disaster. Baba had been through WW2 and anyone who did doesn’t have romantic notions of planes and bombs and war. I respect that. I doubt it was the most amazing thing she’d ever seen. 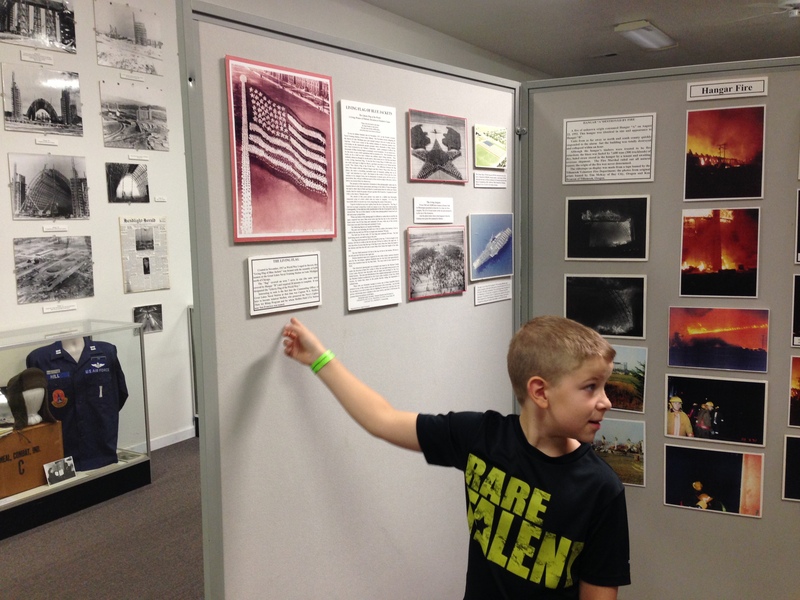 For the boys, though, and the Prettiest-girl-in-the-world (who probably wanted to see it as much as I would want to get my nails done), it was a quick tour of historical artifacts and an amazing look at what could be done when you’re at war with someone. But it all paled in comparison to our next big adventure… the dunebuggy ride. 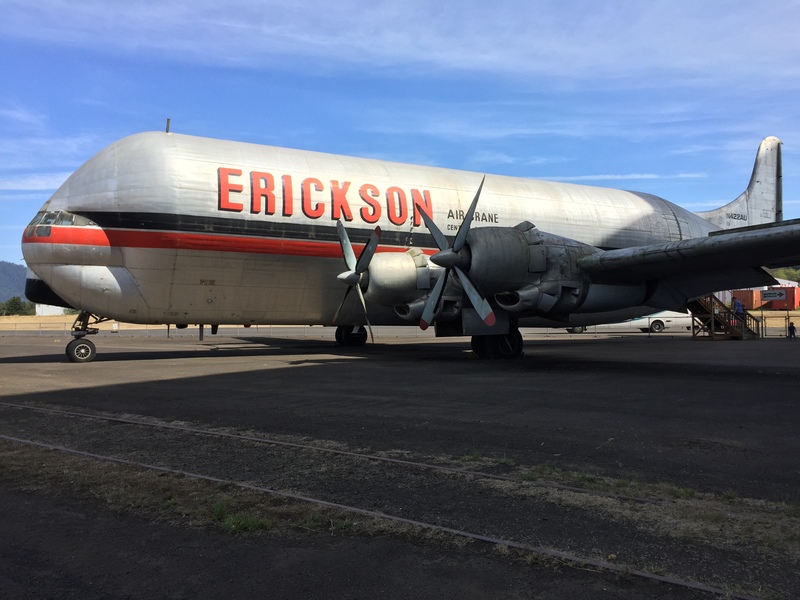 This entry was posted in Oregon, Parenting, Travel and tagged A-7 Corsair, baba, blimp, cheese factory, George Lucas, ice cream, NAS, national air station, the phantom menace, tillamook, ww2. Bookmark the permalink.